SEOUL, Aug. 23 (Yonhap) — South Korea will send back Thursday the protest letter Japan’s prime minister wrote to President Lee Myung-bak over his visit to the easternmost South Korean islets of Dokdo, Seoul’s foreign ministry said. 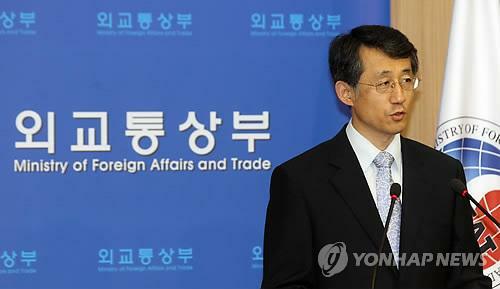 Foreign Ministry spokesman Cho Tai-young also lodged a “strong protest” against Japanese Foreign Minister Koichiro Gemba’s Wednesday remarks that described South Korea’s control of the islets as an “illegal occupation,” calling on Tokyo to immediately stop laying an “unjustified claim” to Dokdo. “Our embassy in Tokyo will meet with the Japanese side today to return the letter of Prime Minister Noda to Japan’s foreign ministry,” Cho told reporters. Noda’s letter was handed to Seoul’s Embassy in Tokyo last Friday, describing as regrettable Lee’s Aug. 10 visit to Dokdo and his remarks that Japan’s Emperor Akihito should apologize for Japan’s 1910-45 colonial rule if he wishes to visit South Korea. South Korean officials have decided to send back the letter, in what would be the first return of a letter by a Japanese prime minister, on the grounds that the protest letter is factually incorrect concerning Dokdo. “We are in a situation where we cannot exercise part of our jurisdiction because of South Korea. 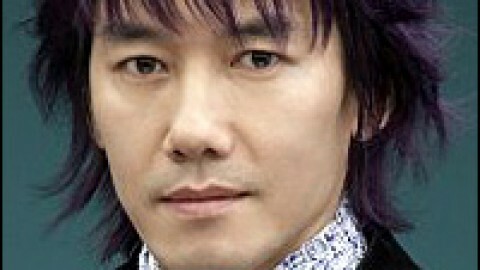 We can say this situation constitutes an illegal occupation,” Gemba told a parliamentary session in Tokyo. It was the first time a foreign minister under the government led by the Democratic Party of Japan, which came to power in 2009, has used the expression “illegal occupation.” South Korea lodged a “strong protest against the remarks of illegal occupation by Japan’s foreign minister and strongly demands he withdraw the remarks,” Cho said. “Dokdo is clearly a Korean territory historically, geographically and under international law, so we strongly demand Japanese government officials immediately stop laying an unjustifiable claim over Dokdo,” Cho said. Japan made public the letter’s contents soon afterwards, a move that has been widely denounced in South Korea as a diplomatic gaffe and bolstered the impression that the letter is a political move designed mainly for the domestic audience. Diplomatic relations have quickly soured since the visit to Dokdo by Lee, who cited Japan’s unrepentant attitude over its brutal 1910-45 colonial rule of the Korean Peninsula as a key reason for the trip. Japan sent back its ambassador to South Korea, Masatoshi Muto, on Wednesday, 12 days after recalled him in protest against Lee’s visit to Dokdo.